Vienna proved a happy hunting ground for Zebco Europe: The Tostedt-based company enjoyed a historic triumph at European angling trade fair EFTTEX in June. Zebco Europe took home the “Best of Show Award” in three product categories and landed second place in two additional categories. With each exhibitor only allowed to submit entries in six categories and more than 240 exhibitors from 37 countries in attendance, this was a quite sensational result. The first catch came with the award for best new rod: Zebco kicked off proceedings with the new “Lady Like” from the Quantum Specialist brand, an exciting spinning rod specially designed for the requirements of the growing community of female anglers. In Babs Kijewski and Emma Backer Hakånsson, the company has two prominent female test anglers who were instrumental in the development process. Besides the ultra-light and fast action blank essential for modern spinning, the series impresses with a stylish exterior that has not only been given a pink finish. Female anglers prefer sophisticated designs, as for example the wave-like, delicate purple effect in the neoprene handle of the Lady Like. 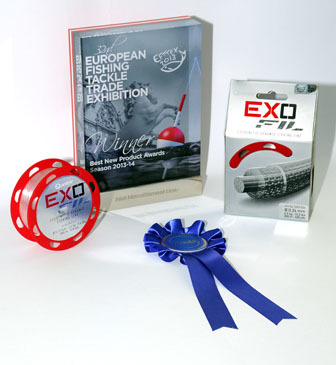 In the new Exofil, the company presented a brand new monofilament without compare. Combining optimal durability, extreme breaking strain, high knot strength and low elasticity, Exofil is a genuine alternative to braided lines when it comes to spinning. 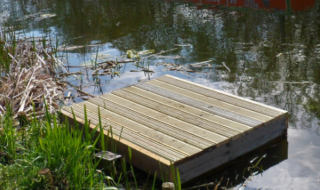 Monofilament remains a brilliantly tuned buffer in the fight in many forms of angling, keeping lost fish to a minimum. Exofil is initially being supplied in the line segment on a soft-touch coated spool. So it was a logical consequence that the line claimed “Best New Monofilament”. The award for the new Black-Cat “Hitman” spoon for the Tostedt product developer was also not entirely unexpected. Much more than a simple double-blade spoon, the lure has a third spoon blade in front of the ultra-sharp Owner treble. This additional blade creates even more vibration and noise, which is irresistible to catfish. The spoon is also no longer fitted with split rings but with welded steel rings, providing essential robustness when it comes to fighting catfish of more than 2 metres length. The new Quantum Tour Kevin VanDam spinning reels and baitcasters claimed second place in their respective categories. With the Quantum Exo topping the baitcaster class a year ago, the result was further validation of the excellent reel development work in the Kunshan factory near Shanghai. Frerk Petersen, Director Europe Marketing & Product Development, is naturally proud of the awards: “Although best-of-show awards always involve an element of luck, we have shown that striving for perfection brings rewards. The results are the product of perfect teamwork. Our product managers, designers and factories could never have produced such excellent results alone. The products that can be admired now are the result of close teamwork. Whether we can repeat these results remains to be seen but naturally our team is motivated to return with more exciting innovations in 2014. PreviousEvesham Festival Qualifying Match Reports.